Mark your calendars! 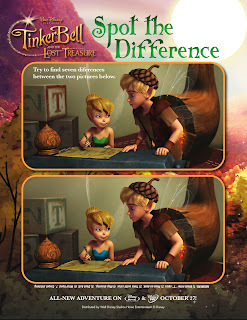 The Blu-ray/DVD combo pack of TinkerBell and the Lost Treasure will be available in stores on Tuesday, October 27th. 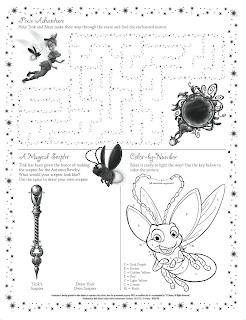 To get your little ones excited about this new release, below are some free printable activities for them to enjoy. 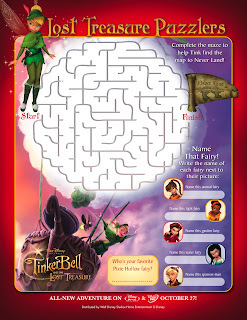 There is one Spot the Difference game, two mazes, and one coloring page featuring the ever-popular Tink. 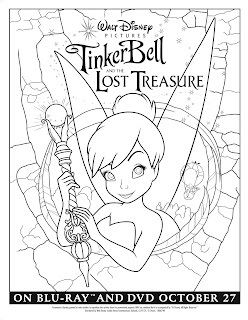 Look for my review of this Disney movie next Friday!